Teaching students with special needs can be an extremely rewarding experience, but it has its challenges. If you’ve been approached by a parent of a child with special needs, you may have been too intimidated to take them on. You may have felt that you weren’t prepared or qualified to deal with their unique learning style. Well, Dr. Scott Price is on the podcast today to help prepare you to teach any child that comes your way by responding to each student’s needs. Dr Price’s journey into teaching students with special needs started with one very special student and grew from there. He has gone on to teach plenty of students with autism, ADHD, visual impairments and hearing impairments. He keeps careful notes on the triggers and routines of each of his students so that he can tailor his teaching to suit each individual. Parents turn to Scott for his ability to adapt his teaching to suit their child, and I think we can all learn a lot from his approach to teaching students with special needs. To teach special needs students, you've got to get creative. Tim: All right, Scott Price welcome to the show today. Scott: Thank you Tim I think you're doing a great service for piano teachers. I'm just so very happy that you invited me to be with you today. Tim: Well, it means a lot to hear someone as expert and as well-known as you say that. I really do appreciate it. And today we are getting stuck into this concept of special needs teaching. And we're going to talk a little bit about what that actually means shortly. But I thought first up, what was your day to day teaching look like at the moment? Are you in universities or private studios, how does it look? Scott: Oh, sure. I teach at the University of South Carolina. So I teach graduate Performance Majors as well as some of the graduate Piano Pedagogy courses and of course directing graduate research. And then the best part of my day or one of the best parts of my day, I shouldn't let my colleagues say that, wonderful parts of my day is in the afternoons when all of my students with special needs come in and then I get to spent two or three hours with all of them about four days a week. So it's been a lot of fun. Tim: And they're all young children or do they completely range in age? Scott: ...while being deaf including all of the performance requirements. Tim: Wow, what an experience. Well, look I'm so glad to speak to you because as I say you are an expert, an absolute expert in this area and particularly in autism spectrum. So we'll talk a little bit more about that in a moment. How did you come to become known as a specialist in this field? Scott: Well, I don't know that any of us ever really become a specialist, it's an ongoing process but it literally is just a phone call about... It was almost about 20 years ago now. I got a call from a local Yamaha dealer in town at that time. His name was Danny Hanfold [SP], a wonderful guy and he had a young family who had come in looking for a piano for their daughter. They didn't even know if they can afford one at that time and he said, "Well, just ask someone, what does she play?" They told a story, they were like, "How do we answer this question?" And it turned out that their daughter had been born four months premature, was blind from birth, extremely low functioning on the autism spectrum, developmental delays which meant that she needed help feeding and dressing. But it turned out that she could literally, if she listens to a CD by Elton John or somebody like that or Whitney Houston or Mariah Carey, she could then play back all of the songs in simplified arrangements on the piano after one pass. And so, I said "Sure, we are here. I would love to meet her." And so she came in and I was understandably humbled by her gifts. And so we went from there and the parents networked. Unfortunately at that time things have gotten a lot better but at that time, often what they would hear is, "I don't know how to teach this child. I don't think I could help her. I don't want to do the wrong things." So they would hear "no" a lot. And so we just... parents network and one student turns into two, turns into three, turns into four, and before you know it here we are 20 years later. Tim: Wow. Now, is that student you are talking about the one that I found some information about on the web you interviewed? Was her name Brittany or was that a different student? Tim: Yep, yep. So I did some digging on you, Scott, as I always do with my guests and it was interesting to read, that was yes literally about 20 years ago I guess. And I'm interested to know for teaching someone like this who was blind and autistic and severe developmental delays, how do you actually approach that? And it sounds like you're actually pretty new to it yourself when you started. What did you try out when you first started? Scott: I guess unlike all piano teachers, you are there for your students and whatever they need to try. I mean, you try to help them the most that you can. In this case, Brittney was later considered to be a prodigious savant, which what that means is it's someone whose gifts and ability are as extraordinary as their disabilities are limiting. Here's a young lady who had perfect pitch, could play back everything that you played to her on the piano and then was later found to be able to improvise and compose. The only thing that she really didn't have was that she had never seen anyone play the piano. So she literally was playing everything with the third finger of each hand and finding her way around the keyboard. So our biggest job was to help her learn to use all the fingers on her hands in different combinations and to develop her technical ability. Tim: And I see you probably do that with a lot of touch for a student like that, you would be showing her physically on the keyboard? Scott: A lot of hand over hand type of thing and with a student like Brittney, she had literally such a limited vocabulary that you have to teach her what these words that we use actually mean. You can't say, "Well, let your arm float." It has no meaning to her. So it's tense and type, relax and then lots of her touching my arms and feeling what tense and type is and what relaxed is and feeling what a good hand position is, and things like that. Tim: Goodness me, it must take a lot of patience because I imagine it will be a slow process. Scott: A lot of people say that to me and interestingly my answer is always there's no patience about it because during the lesson it's a whirlwind of thinking and evaluating and readjusting and managing behaviors, and thinking "What am I going to do next? How are we going to handle this problem?" So actually the minute they walk out of the door, you get a chance to just relax and take a deep breath because you've just been on this roller coaster of music making for an hour, half an hour. Tim: Do you have to sometimes give self-permission to have a really bad lesson where actually nothing really happens with students like this sometimes? Scott: Oh, absolutely and I have colleagues who say you just have to get over it. There are days when the student leaves and you think I did everything wrong. I was a horrible teacher today but probably not because you are spending time with them, and they were listening and so whatever they received from you is going on in their mind and it will come back to you the next week. Tim: Unless we can feel like that with any student on any day really, can't we? 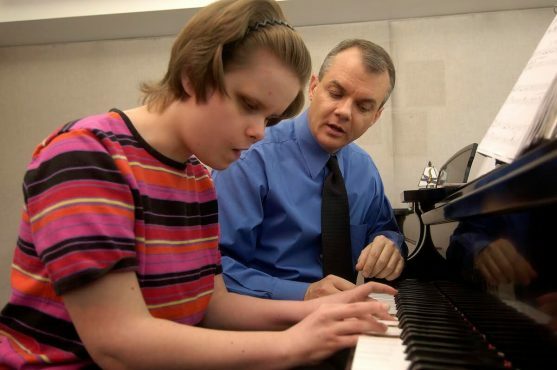 In 2006, I found an article in Chicago Tribune where you were quoted as saying, "This concept of teaching special needs students, this is a brand new thing in the piano teaching field. Piano teaching in this country has really been about playing for a hobby or preparing for the next competition. Nobody ever thought that this group could play. Now they are discovering that they can and that they do it really well." So 10 years on, have things changed a little bit more now? Scott: Yes, they have and wonderfully so. Of course piano teaching is more than just hobby playing and more than just preparing for a competition. It's a lot personal development and growth and enjoyment. You didn't see a lot of students with special needs in the studios and laws have changed in different countries around the world. And parents are, they're out there advocating and actively looking for the same experiences for their children as for any other child. When I used to give my first workshops, I would just ask the audience, "Please raise your hand if you have student with special needs," and maybe two hands would go up. Now you ask the question and more than half of the hands in the room will go up and that's just such a gratifying thing to see. It's just a real tribute to everyone out there who's teaching that you would take on the challenge. Tim: What do you came to understand about the meaning of special needs? Scott: Of course on the surface special needs, meaning anybody who has a disability or a diagnosis, who needs a little bit of different treatment within the lesson. But I think now for me it means not only that but also... I'm going to have to change my traditional teaching approach and that can mean not being able to teach with vocabulary for one student. Maybe it's just tone of voice for that student, maybe a student can't see my body language or can't see how my hand is flying so we have to completely change the approach to teaching technique. Or like my student who is deaf, things like you can't play and talk at the same time. She specifically one day said, "Look at me when you talk and please don't play when you talk because you know I can't hear you and I have to read your lips." Scott: Just things I would not have ever thought of and of course you have to kind of put aside your ego and not be shocked when a student told you to be quite and to look at them. Tim: I would imagine for many teachers and I would be in the same just knowing that you couldn't talk or that talking wasn't the best approach. It would be a real frustration for many people. Scott: Yeah, it can be but we are there for our students and we do really, whatever we need to. Tim: What kind of outcomes have you seen for students? We've talked about Brittney, obviously perhaps she was a little bit of a special case with being a savant. What about for other students, what kind of outcomes have you seen that sticking to piano lessons for those students can bring? Scott: Well, just in general all of my students play on recitals every semester. And in addition to their repertoire, I teach a lot of improvisation here at the university in all of my students. And so they are all required to improvise for the audience during the recitals. So once they [inaudible 00:11:01] I just say, "Time to improvise" and they just go ahead and play, or some of them compose and they play their own compositions. So they have the same outcomes as any other student. They can play just as expressively and then they can do all the creative things as well. Other outcomes, it's amazing when you see a student with autism who's maybe minimally verbal turn around and make eye contact with you and start trying to talk to you about their music making and about their playing or about something that you played. Or a student who... one of my students who has trouble tying his karate belt because he has motor planning issues and he can't do things that cross hands, playing improvisation and cross hands on every single bar with no problem. There are a lot of important outcomes and things that the lesson does for a student which is not necessary just the music making, there's social [inaudible 00:12:04] communication and other things. Tim: I gather that would probably be the case and that music can somehow get through out barriers where other things don't. And suddenly a student can change or look at you, I think that would be such an amazing experience as a teacher. Scott: If I could share another story years ago I did a session with another Canadian piano teacher on a student of hers who had Tourette syndrome. And the boy was 15 years old at the time, he gave up and gave a wondrous speech about what the piano had done for him. He said, "Before I started studying piano, I didn't have any friends because of my Tourette syndrome and all of the physical and vocal ticks that I had. But when people see me play the piano they want to be my friend and they want to talk to me now." Tim: That's great, isn't it? All right, so let's start talking about some approaches for teachers because I know there's going to be a lot of teachers watching and listening who perhaps have students in their studio like this, or who are interested in expanding to offer these kinds of lessons and perhaps they've even had students come to them for a first lesson or an interview and they've just gone a bit, "I don't know if I can do this sort of thing." Let's say a teacher is approached by the parent of a special needs child, have you got some questions they should be asking, somethings they should be doing in that first interview or that first lesson to get a gauge on whether they could do it? Scott: As far as feeling like what do I do, well join the club, we are all in that with every single student who comes along because they are all different and they all have different needs and we have to change our teaching approach. So don't be worried about that you are in the same club. Usually when a student comes to me they specifically come to me because they know I teach primarily students who are mid- to lower-functioning on the autism spectrum. Often the parents will volunteer almost all of the information that you need, all you have to do is say, "Tell me about your son or tell me about your daughter," and they will give you very specific information about those students. If that's not quite forth coming and there could be many reasons for that all you have to do is you should say something about.. or like, "Is there anything that you can tell me that I might need to know to serve your child better?" Or to help make the lessons more effective and beneficial for them and that helps open up the conversation of the parents who are a little reticent as they come. Tim: What about the child themselves? Perhaps if you haven't experience a low functioning... we should actually...actually let's talk about these terms for a second let's just talk Autism Spectrum Disorder, can you just give us the rundown of what the different functioning mean? Scott: Oh, sure. If I can just first throw out that you will hear me saying a lot of things like "student with autism" or "student with a hearing impairment," this is what we call "Person First Language," which a lot of the parents will request or actually demand because if you say "that deaf kid" or "that blind kid," the focus is on the disability and not on the actual person. So they prefer that we say "person with..."
Now on the other side of that coin, some people will come in and actually say, "I'm autistic, I'm an autistic person. Please call me, you know I'm autistic," and that's fine, we just go with the request. Back to your question about autism. Autism is a spectrum disorder, meaning on one end of spectrum you might not know that someone has impairments in social behavior or social communication. On the other end of the spectrum we have what we call somebody who's low-functioning who, like Brittney, may have very limited vocabulary, may have very limited cognitive ability, may need help dressing and may need help feeding and 24/7 care, and may have limited ability to do most of the things that you and I take for granted every day. So that's basically what the spectrum is and then what these words, "low-functioning" and "high-functioning" mean. Tim: While we are on that topic, is Asperger's considered part of the autism spectrum or is that a separate thing? Scott: That's an interesting question. Asperger's was considered part of the autism spectrum but when the new manual of the Diagnostic and Statistical Manual of Mental Disorder came out, that somewhat changed. On the fifth edition, we had Autism Spectrum Disorder, we had Asperger's Syndrome which is similar to autism except there are not a lot of the communication deficits that there are with standard autism. Then there was something called PDD-NOS, which was Pervasive Developmental Delay, Not Otherwise Specified which basically meant that you had some of the characteristics for autism but basically couldn't get a full diagnosis. When the new version of the manual came out, now there's just Autism Spectrum Disorder but there are different levels of autism in there, not a lot of people still be having and will still say "I have Asperger's syndrome," that's fine. Tim: Okay. Otherwise that would be classified as high0functioning on the autism spectrum, is that right, kind of? Tim: Okay, good. We should get our language right, I guess. Scott: But I think it's important for people to know how something has changed and all of these issues that might come up in the interview. Tim: It looks like you are pointing to a book, is there a book there on that topic? Tim: On the topic of disorders, it looks like you were looking over there, is there a big reference manual? Scott: It's called the DSM, the Diagnostical Manual of... I always have to look it up, Statistical Manual of Mental Disorders, so that's where all of the people who diagnose any kind of mental disorder they go. And this is the standard manual that gives you all of the guidelines by which you would diagnose it and it should be a team of professionals. We are really, as piano teachers, shouldn't be diagnosing those things. And if you are in an online group somewhere and people are diagnosing these, it really should be a team of professionals. Tim: Now, let's say if you are having your first lesson with an autistic student and perhaps they're reasonably low-functioning and nonverbal, I understand every student is going to be very different. But are there some tactics that generally work or some tricks that you have learned over the years that can help? Scott: Yeah, [inaudible 00:19:04] on tricks because I ended up doing everything wrong and of course sometimes that's the best way to learn, you end up doing the right things by doing all the wrong things. Well, just because a student is non-verbal that just means they are not speaking to you. It doesn't mean they aren't hearing everything and comprehending a lot of things. So usually one of the big things is a lot of students with autism have a lot of hypersensitivity issues, they are over stimulated by many things in the environment that just wouldn't bother you or I. Things like fluorescent light and all the flickering, what to you and I would just seem like a small spritz of cologne, could be like an open bottle to them or some fabrics are just too confining or too irritating to their skin. So often times I try to eliminate those things from my studios if at all possible, all of those sensory distractions. When they come in, I think one of the most important things that I first do is just say, "Hello, I'm glad to see you," just how many times because this person with special needs hear "Hello, I'm glad to see you. How are you today?" I think it's just human nature to assume, "Oh, they just don't understand us." So that's the first thing I do and it's also designed to manage behaviors because often a times they are trying to gauge their new environment. And so I will pretty explicitly say those things then say, "Can you sit in the chair please and can you sit quietly while I talk to your mother or your father?" Just so they realize they are starting to learn these social behaviors that they bring in to the lesson, so that's often a start. Tim: There's no reason why you shouldn't be setting perhaps the usual expectations of those students up front, it's just to see what happens determines where you go. Scott: Yeah, they have the same expectations as far as behavior and musical achievement but because their autism includes an impairment of social behaviors, you know things that you and I take for granted like a student knows how to stand outside the door quietly and wait for a lesson. Or they know guidelines for personal space, or certain things that you can't say and certain things that you don't say. Somebody's age we automatically understand that there are certain ways to address them and certain respect. People with autism sometimes can't read those unspoken social behaviors. And so they are learning those as they go along. They may not understand them sometimes but they just learn this is what I need to do in this situation. So you're teaching those things as well. Tim: And the parents are going to be really helpful obviously in knowing perhaps that a student really needs a darker room or a lighter room or that you don't wear funky colognes or things like. Hopefully that the parents will know those things already, I would assume, when the student comes in? Scott: Absolutely, you are exactly right. They are your best line of defense. They know that child inside and out. They are with them 24/7 so they can help you with certain things to say or not say in the lesson. And depending upon the day you never know what might have happened, there might be certain things you might start doing that might be triggers or upsets or shutdowns or things, and the parent might get your attention and just say, "No, no, don't," or contact and say, "Today we shouldn't do this," it was a rough day at school and so you don't do that. Tim: And so yo've got to be fairly open to learning don't you as a teacher? 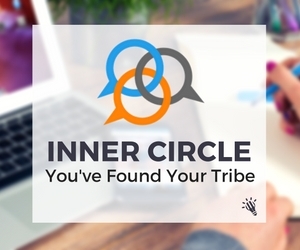 You are going to be able to be learning a lot of [inaudible 00:22:48]. Scott: I have one student who one of his triggers is if you look at him and you go "shhh" and of course what do all the kids do at school because they know that will set him off and so that's bullying that he gets and she was very surprised that I did that one day and he didn't react. And I think it was because he was so focused on his lesson but I have my file for this student and at the top of the list, or near the top of the list it will say, "Don't say 'shhh." If we're going to talk about dynamics it's 'quiet' [inaudible 00:23:21]. Tim: Okay. You've given a little bit of a secret there about how you manage to keep track of your students. Tell us about the file that you have on each student because this would be obviously be kind of important if you've got a number of these students. Scott: What works really well in my classroom for my students with autism is routine or a schedule and I like to call these when I'm teaching the graduate students a macro routine and a micro routine. The macro routine is often something the parents that are doing at home. They will say something like, and this is a real routine that they used to use, something like, "Today is Monday, you are going to go to school. When you come home you will practice piano. We'll have dinner then you'll do homework. Same thing on Tuesday, same thing on Wednesday, expect for Thursday. After Thursday, mummy will come get you in the car and we'll go see Scott for piano." And that's so they always know what is coming next. That alleviates a lot of the upset in their daily lives. So when they come in for a lesson I'll often say, "Hello, how are you? Today we are going to do five-finger patterns. We are going to do lesson book, performance book, theory then we'll improvise," and whatever else is there for the lesson of the day. So they always know what's coming next and that takes care of a lot of the behaviors. Scott: Now, if you think I don't have time to do that, what happens if I forget something? The autistic mind is like a steel trap, if you forget or you didn't have time to write it out, just look at the student and say, "What's next?" They'll tell you. Tim: It's a good approach for teaching generally I think, saying up front what students are going to learn and things. Does keeping the same order in every lesson that does help too rather than just saying at the start of the lesson this is what's going to happen but actually keeping that consistent each week? Scott: I think that exact word you used "consistency" is very, very important. And then once that routine is established you can start to change little things in there and they get used to that change and it's not as much of an upset. Now, within the micro routine students, with autism they work very, very well with step by step instructions. A lot of times you'll read things about Applied Behavior Analysis or Directed Trial Teaching, which in a nut shell is just breaking things down in the step by step directions they need to learn to execute a task. This is a real example too, it's not just something I'm making up. If a typical average student is learning to play the two black keys on the piano, often we might teach that just by saying, "Look at the group of black keys, how many do you see? Can you find the group of two? Can you take the two longest fingers on your hand and play those? Or just give it a model yourself." Now, I just assumed that a student has a vocabulary, that they know their colors, that they know their finger numbers and they know there numbers and can find groupings on the keyboard. So with a student whose very low-functioning and nonverbal actually had to work with the system which is, "This is your hand, this is your right hand, this is your finger, this you finger number two. This is the piano, this is a black piano key. Can you take your finger number two, push the black piano key down. That's great, you just played a black piano key with your finger number two on the right hand. Can you do it again?" If you do it that way, it is locked in and they know it. Tim: It's really a matter of just being very precise with the language you use too, isn't it? Scott: Absolutely, concrete, literal language and the way we traditionally teach piano which involves a lot of metaphors and things, that can go horribly wrong. Tim: I could just imagine. So you talked just before about, you used the word macro and micro goals, is it goals? Scott: Macro and micro routines. Tim: Routine, okay. So macro one is the whole student's daily life and what they are doing every day? Scott: [Inaudible 00:27:41] and then the micro routine is step by step for the lesson, and then also the step by step teaching for each element. And sometimes that can be one measure of music or two measures of music. Tim: What about practice for these students, I imagine they would need to have some real success, they would need a very conscientious parent helping them at home to practice, would that be a fair comment? Scott: Yeah, I think it's a very fair comment and sometimes they will have a therapist who visits house as well, who will sit with them while they practice to make sure they are doing it. I'm fortunate that I have a wonderful colleague here in town who's really a brilliant music therapist, who works with some of the students as well on some of their concepts. But I use a five-step plan with all of them when they are learning their music. And most of them can recite this back. The first is they have to learn their notes, then they have to do fingerings, then they have to do counting. And then they have to break down the piece in to small manageable bits and that could just right hand for one measure or half a measure, whatever it takes to get that done. And then they have to do it five times correctly before they can move on. And most students, they just roll their eyes at you and say, "Five times correctly, are you kidding?" The students with autism love the repetition and the routine and they think this is the funnest game, to get it five times they'll actually look at me and watch me hold up another finger. Tim: Parents in the first interview, if you're going to take on a student with some of those needs, you would need to make sure a parent realizes that they are going to have to work with their student, their child at home on the practice quite carefully right? Scott: Oh, yeah we have a lot of talks about that, emails are exchanged and if the parent is not a musician, has to take lessons, one of the best tools I have is my iPhone. I will just take movies of somethings and send them via email. Or a lot of times, I will hear the parent walk up behind me and they've got their iPad and they start taking video portions of the lesson that they need and that's fine. We just have an agreement that it doesn't go up on Facebook or YouTube. Tim: Is there any time you haven't taken on a student? Perhaps the requirements have been too difficult or I don't know, the parents are being too pushy, or I don't know what it is, but is there any time you just said, "Look, I'm not so sure this is going to work. I'm not sure I can do this"? Scott: I always try my best to give it a go and I make it very clear to the parents at the first lesson that we will give this a try, if for some reason after a few weeks you feel like it isn't working well, I will try and find a referral for you. If I feel like it isn't working well or I'm not the right person for your child, I will try to find somebody else for you and we'll all be friends. And they',re perfectly happy to give it a try they just want a chance, that's all they want. Tim: We've talked a little bit about low-functioning autism spectrum students. What about for the higher-functioning students? So you might not even know as you said before that they've got... that they're on the spectrum. Sorry, that might not be the right terminology, they're on the autism spectrum. What about those students? Is your teaching approach perhaps more should we say normal like for a usual student and then you just find those perhaps just a few little things that you can tweak to suit that student? Scott: Yeah, usually it is in the use of vocabulary and maybe I won't use as many metaphors things like... instead of saying something like, "Well, your arm needs to float like a cloud as you play this W-C-P." I might have to actually say, "Keep your hand above the keyboard, use a slower key descent." So you give [inaudible 00:31:45] specific and maybe put more structure in the learning and the practice environment, like I want to hear the first movement of the sonnet in the next week. I want you to work on X, Y and Z specifically. So maybe just being a little bit more specific. Scott: Oh, I just wanted to say I think it's important if there's somebody on the autism spectrum, just give a little bit more laxity in the social niceties because often times they can't read social situations, or often times they don't understand that there are certain things that you don't draw attention to or certain things that you don't say. So somebody is, let's say your hair is a little messy that day and somebody is very close to you staring intently at your hair. Don't take it personally because actually your hair might be messy that day, they just noticed it and kind of fixated on that. Or somebody doesn't address you in what you might consider the most polite way, they're not trying to be mean, it's just part of the package that comes. Tim: My experience with more high-functioning students is... or one of them is, I could tell with this particular student very quickly how he was feeling that day and you'd get a very quick sense of perhaps some agitation or something, maybe he would come out of a class or that at school something had happened. And I could sense it very quickly and I learned very quickly to adjust my teaching style to suit because the first time, I started getting frustrated because he wasn't doing something and bang, things blew up. So I could learn to get a read on this student and then perhaps give him a bit more latitude or not get so frustrated or just be more positive, whatever it was. Scott: Sure, sure. And I think when you said, "give a little latitude," I think that's very important in lessons because sometimes that extra few minutes just to process something is very necessary. Or just those few extra minutes to chat a little bit at the lesson to help the student get acclimated to their surroundings, to decompress from walking in the building with all the people or whatever is going on during the day. Just that extra time to acclimate and just the extra time to process doesn't, mean you're a bad teacher if you're just sitting back for two minutes and not saying anything. You're actually giving them time to do what they need to do. Tim: I've got a related question, Scott. It's actually about ADHD. We haven't talked so much about that but perhaps you can help. One of my readers says, "Just after your thoughts on something. I've got a little boy, seven years old, ADHD inattentive. 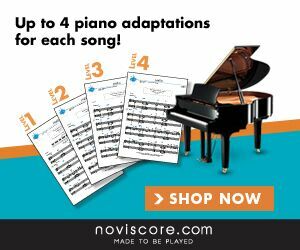 Would you recommend he do better in a short private piano lesson or a group? This kid has been in a shared private with another boy for 18 months and it has been counterproductive at best. I'm about to separate them, the other boy is fine and I'm not sure what to do about this one. Thinking maybe 20 minutes on the piano or games, some note reading, and then 10 minutes on some drums. He rolls around on the floor and stares at the window most of the time, but does practice ad-hoc." Can you help with that one? Scott: I might be able to give some general suggestions for things with these types of students. I don't know that student or that particular situation but often a student with ADD or ADHD or even a student with autism sometimes they need a break from the intensity of the situation. If the student needs to sit on the floor and play with some [inaudible 00:35:29] beads or squeeze a tennis ball or something, fine. They'll come right back and be more focused for the lesson. A lot of times with a student with ADD or ADHD, I need to close up the piano because you know how most students if they see the hammers and the dampers start going, it's over. Often I will close up the piano and remove that kind of distraction, or so moving back and forth very quickly between things can be helpful sometimes. Tim: Yes, a short on the bench, off the bench, just mixing up a variety of things. Scott: And then constant redirection too. Some students that I have had, if they make a mistake they want to go back to the beginning of the piece. So often my hand is covering up what they've seen so they can't go back. Or we're constantly talking to them and directing them forward. It's a process that I call Teaching in the Process, which is very distracting for an average student, have you talking at them constantly while they play. But for a student with autism or another special need, you are actually heading off mistakes before they happen and you're actually directing them to things they need to concentrate as they go ahead. And I find that to be very, very helpful. Tim: I was interested you've mentioned that all your students improvise and not only do they improvise they do it on stage in front of a crowd which I think is fantastic. I'm very pro improvising and teaching students to be creative. Can you give us a quick little intro to your approach to teaching a bit of improv with your students? Scott: Sure, actually I teach a graduate seminar in pedagogy of improvisation where we go through how to teach it from beginning to advanced levels, but all the students have to improvise in every class. We kind of go... there are free improvisation activities but they have to go through all of music history and then improvising other forms as we go through. It was actually my students with autism that created that course. And so I just kind of made the graduate pedagogy students do it. But basically I'll start with a lot of five-finger patterns for the students and with concrete literal language. And we do a lot of my-turn, your-turn. There are learning behaviors such as you have to sit and listen to the model then you have to do something similar. So they usually, that's how they learn steps and skips and how to create a melody within a five-finger pattern. And that comes from music learning theory where a lot of verbal instruction and labels should come later in the process that at first, it's an oral and then doing. We do a lot of that together and then I show them how to put a harmonic fifth with the five-finger pattern and we do it again my-turn, your-turn. And then they being to take over the improvisation and make the piece. Then later it becomes "listen to me, I'm going to do something in contrary motion. Can you do one like that?" And then this amazing things start to come out of the student once they have a repertoire of patterns, and they've equated those oral patterns with finger movements and black and white keyboard patterns, then extraordinary things start to happen. They've done it all their lives so they don't think it's hard and they don't think it's unusual to sit down and improvise for an audience. Tim: That's fantastic. I'm a huge fan of Dr. Gordon's techniques. I'm by no means a specialist but the reading I've done makes a lot of sense. And it's such great to hear you talk about this and its usefulness in teaching with special needs too, just brilliant to my connections because we actually spent... two months ago the whole focus on the blog and the podcast, you might know, was all about Gordon's Music Learning Theory. It was fascinating hearing a lot of the comments coming back about these patterns and how much sense it makes. It's great to have that reiterated by. Now, have you got any other final kind of thoughts on teaching approach generally that you've seen work? Just to give teachers who are listening a bit of a heads up or a bit of a few steps forward in the process before they begin teaching the next student? Scott: Sure. In my own teaching and the success that I think we've had it all comes down to the structure and the routine and breaking things down into their very basic parts and using concrete and literal language. With a lot of my typical, average students I used to like to kind of personify the notes and say, "Who's that?" Because that can lead to creative things like, "What is this note doing?" The dynamics and expressive capabilities. And I had a young man on the autism spectrum who got very angry with me and said, "Notes aren't people." We had a five-minute chat about the fact that I was very wrong about this and he's actually correct. So that concrete literal language is very, very important and breaking things down in to their component parts. And if something goes wrong in a lesson or there is a blow up or a shutdown, it's necessarily anything that we did as a teacher, it could have been something that happened last week it, could have been something else that happened during the day that causes that to happen. And as you get to know your students better, you'll learn how to sort of head those things off or avoid them. And then I think also I like to give my parents a lot of leeway sometimes. I will get a phone call five minutes into the lesson time saying, "We had a bad day at school. I don't think you can come," and that's fine with me. Or if they're late, like one day I had a student that was... I get very concerned when they're late because I'm afraid something has happened. And mother came rushing up apparently they stopped for food. She didn't know there was a ketchup packet in the bag and the boy had decided to paint ketchup all over his cloths. So they were actually down at the parking meter changing his cloths so that she can bring him for the lesson. So I think a lot of leeway with the parents is important too. Tim: And being really flexible. Tim: Do you think teaching students like this makes you a better teacher? Scott: As the young folks say, it kind of rocked my world when I first started with Brittney and some of the first students that I had. I had a lot of successes as a teacher, I thought I knew some things. And found out very quickly that I really didn't know anything. But it's such a gift, they are really such gifts. It might sound cliché to say that but every day in the afternoon I have two or three people come in who give me a master class in teaching. I'm the student, I get to learn these marvelous things about connecting with another person and helping them learn how to achieve in music-making. They are the ones who give that to me every day, so I have the best job in the world, I really do. Tim: Scott, it's been great speaking with you today. I'm interested to hear just before we finish about the inclusive piano teaching blog. Can you tell us about that, where teachers can find it and what's it's about? 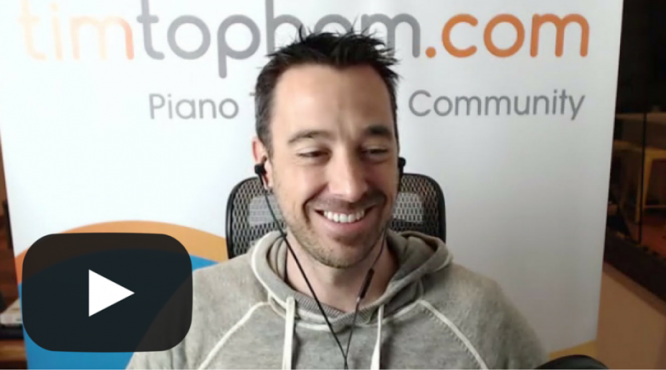 Scott: Again this is the exclusive piano teaching blog, it's brand new. You can find it on The Frances Clark Center for Keyboard Pedagogy website which is keyboardpedagogy.org, you will see a link to a blogs on the banner. It's brand new so right now we are introducing the authors of the blog who are myself, Elizabeth Bauer from Wheaton College in Illinois, and Melissa Martiros from Martin Methodist College in Tennessee. What we'll be providing later on are just thoughts about how we can better serve students with special needs. So one of the posts that will be coming up next month is all about Person First Language we talked about. I'll have one coming up on labels. We have plans for the questions that you asked me about how do you handle studio requests and interviews and things like that. Please stop back to the blog about every two weeks or so we'll have something new. Tim: Brilliant, that's really a great resource for teachers I know that. Are there any other places? Scott: If you happen to be at the National Conference on Keyboard Pedagogy next summer at the end of July, we'll have sessions on teaching students with special needs and I think we'll also be having some live teaching demonstrations. I know that's a long journey for folks on your side of the world, but I would love to have you. Tim: Yeah, well, look as you know I love going to that and I recommend anyone that could possibly get there, go. I had such a great time last time and I know that seeing teaching in action is one of the best things. So to actually see teachers working with special needs students I think would be fascinating and such a great learning experience. Scott: I think the wonderful thing about the piano teaching profession is that everybody just jumps in and just really works as hard as they can to help students. And so it really is a grassroots sort of movement. We're teaching students with special needs, so you'll find somebody in your community who's doing it and then you connect and before you know it, there's an entire group of teachers who are doing this kind of work and you all become... we need more groups of resources right now. So anybody who's doing the job I just have a really heart felt congratulation and thank you and please throw up a blog or publish an article or something, we need more resources. Tim: That's great, well is there anything I've kind of forgotten or was skipped over, Scott, that we should have mentioned today or if we've done a pretty good introductory coverage? Scott: As always you have great questions, Tim. And just, I always make this plea that not everybody has to have a whole studio full of students with autism or learn special needs. But if every single piano teacher in the world can just take one, can you imagine how many people and how many familiars we've serve? Because it's not just one student? The piano lessons are about the entire family and when you look out at the recital and you see the entire family there: brothers, cousins and they're all, their faces are beaming at what they've seen their child do, because this is maybe the first time they've seen their child do something that every other child can do. It's really about the whole the whole family. And so if you can do that for somebody it's just a great thing. Tim: Brilliant. Thank you very much, Scott, for your time today. I really appreciate it and I know you are going to have, got so many other teachers... well, you've kind of given permission to them to go, "It's okay that I don't really know what I'm doing here." We are going to be encouraging some teachers to take on some students perhaps so I really do appreciate your time. Scott: Thank you so much, Tim and just everybody jump in, that's all you have to do. Tim: Great, we'll pop the link to your inclusive piano teaching blog up on the show note page soon. That will be great. All right thank you so much. Tim: And I look forward to seeing you next year at the [inaudible 00:47:04]. Tim: Awesome, see you later, Scott. Do you teach any students with special needs? What have you found to be the biggest challenge in teaching these students? Is there any advice you would give to teachers just starting out with teaching students with special needs?